Haiku by myself. 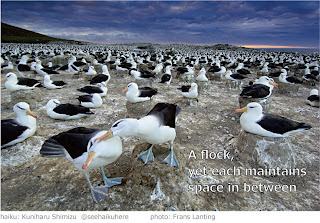 Photo by Frans Lanting. 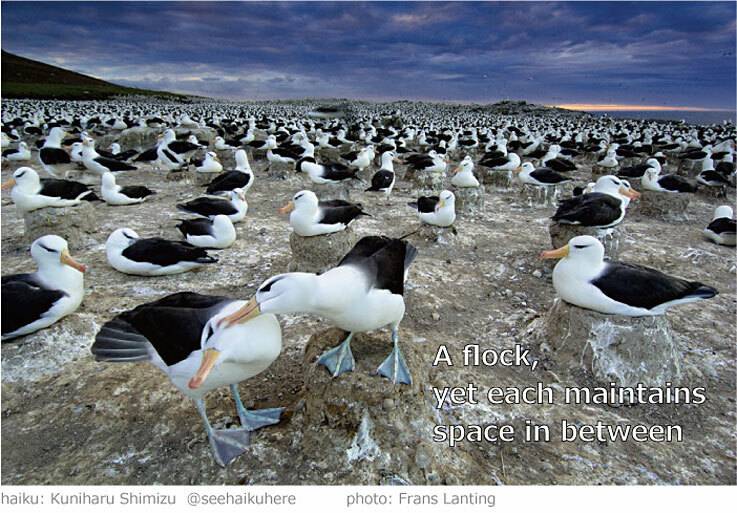 This haiga is done with the similar idea as yesterday' one (Haiga 417). That the space is an important element for group-living applies to us human, too. Basically, Nature, including human is created to live in harmony. I liked very much these thoughts about space between us.